"BMW fields its first baby SUV with a spinoff of its new 1-Series compact car. With smooth 6-cylinder power, available all-wheel drive, and "ultimate driving machine" cachet, it could be the new star of a fast-growing market class. Premium compact SUVs are popping up everywhere, so much so that Consumer Guide has put them into a class of their own, separate from lower-priced models at mainstream brands. BMW's X3 helped plow this field a few years back. Acura has since weighed in with the RDX, the Infiniti EX was new for 2008, and Lexus is said to be prepping a contender, likely based on parent Toyota's RAV4. New for 2009 are the Audi Q5 and Mercedes-Benz GLK. All this new competition poses a big challenge for the X3, which is one of the larger compact SUVs. Because of that, and in line with an announced expansion of its model line, BMW has confirmed a new X1 to slot below the X3 in size and price. The new baby-Bimmer SUV will be based on the company's 1-Series compact car. Dimensionally, the X1 will be visibly smaller than the X3, Acura RDX, and Infiniti EX, but close in size to the Land Rover LR2. X1 will also be lighter than the X­3, so it should be just as quick, if not quicker, and probably more agile too. Of course, it won't be as roomy as its bigger brother, but it should be adequate for four adults and maybe a week's worth of luggage. Despite its lower pricing, the 2011 BMW X1 should come with all the standard features expected from this brand. That means antilock brakes, traction/antiskid system, front side airbags, and curtain side airbags. All import brands are fighting to hold the price line against a weaker dollar, so BMW will be extra picky in deciding X1 standard content. On the other hand, most BMW buyers don't skimp with options, so the baby SUV should list most of the major goodies available for the X3. These include the inevitable Sport Package with firm suspension and upsized wheels and tires, navigation system (bringing with it BMW's irksome iDrive controller), rear-obstacle detection, rear side airbags, and amenities like leather upholstery, heated seats, high-end audio, and steering-linked headlamps. While none of these features are notable nowadays, especially for a premium brand, we wouldn't be surprised if BMW came up with some gee-whiz exclusive for the X1, though we have no idea what that might be." FF: "I want this car with the panorama roof :)"
"Rolls-Royce has announced at the Shanghai auto show that its new Bentley Continental–fighting sedan, which was previewed by the 200EX concept at the 2009 Geneva auto show and has been known only as the RR4, will be called the Ghost. Production will commence later this year at the company’s Goodwood plant in the U.K., and European deliveries will begin shortly after. Sales in the U.S. and Asia will wait until the second quarter of 2010. Base price for the Ghost here will be $245,000, plus taxes and delivery. 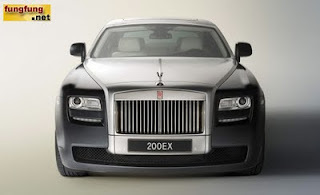 Rolls also announced final specifications for the new car. The 6.6-liter turbocharged V-12 will pump out 563 hp and 575 lb-ft of torque and will mate to a ZF eight-speed automatic transmission. Zero to 60 mph is said to take 4.8 seconds, and the top speed will be governed at 155 mph. Likely to be shown in production trim at the Frankfurt auto show in September, the 2010 Ghost will slot below the current Phantom range and gives Rolls-Royce a more attainable model to compete against the Bentley Continental Flying Spur, as well as the upcoming 2010 Aston Martin Rapide. At 212.6 inches long—with a 129.7-inch wheelbase—76.7 inches wide, and 61 inches tall, the new Rolls is slightly longer and taller than the Bentley, but a smidge narrower. The Continental lineup also includes GT coupe and GTC convertible versions, and we expect two-door and droptop iterations of the Ghost to launch after the sedan. Rolls-Royce CEO Tom Purves said the Ghost name is fitting for the new model because it evokes a sense of “adventure and technical innovation,” as well as “flair and style.” The latter elements shouldn’t be an issue, as the Ghost will share the Goodwood plant’s paint, wood, and leather workshops with the Phantom (vehicle assembly will be handled by a separate production line). Stay tuned for more details closer to the unveiling." FF: "6.6-liter turbocharged V-12 will pump out 563 hp and 575 lb-ft of torque, v.nice~"
"It's been an exciting nine months since we launched the Google Chrome browser. Already, over 30 million people use it regularly. We designed Google Chrome for people who live on the web — searching for information, checking email, catching up on the news, shopping or just staying in touch with friends. However, the operating systems that browsers run on were designed in an era where there was no web. 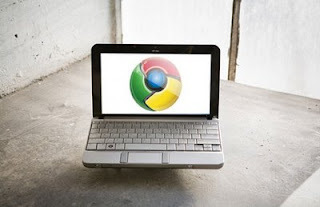 So today, we're announcing a new project that's a natural extension of Google Chrome — the Google Chrome Operating System. It's our attempt to re-think what operating systems should be. We have a lot of work to do, and we're definitely going to need a lot of help from the open source community to accomplish this vision. We're excited for what's to come and we hope you are too. Stay tuned for more updates in the fall and have a great summer." FF: "Yes, I need an OS to be fast and lightweight, and being created for people who spend most of their time on the web, luv Google"